150 years ago the periodic table was established by Dmitri Mendeleev. To commemorate this anniversary, 2019 has been designated by the United Nations as the International Year of the Periodic Table. This significant achievement in science has given us the tools to study our world and universe in ways our ancestors could only imagine. While Mendeleev is credited with creating the iconic chart, other scientists have contributed to it as well. Read on to find out more about the Periodic Table’s fascinating evolution. Over 350 years ago, a bankrupt German by the name of Hennig Brand discovered what he called, “cold fire.” He happened upon what we know today as phosphorus in his quest to discover the Philosopher’s Stone – a mythical object that was said to turn inexpensive materials into gold. Brand kept his findings a secret until 1680 when it was made public that an “element” had been discovered. At that time, it was a scientist named Robert Boyle who re-discovered phosphorus and had published his findings. Brand may have been the first, but Boyle got the credit! A century later, in 1789, a French scientist by the name of Antoine-Laurent de Lavoisier published Traité Élémentaire de Chimie (Elementary Treatise of Chemistry) – which is considered to be the first modern Chemistry textbook. Lavoisier outlined a simple definition of an “element” as a substance that cannot be broken down into a simpler substance via a chemical reaction. In his treatise, he outlines Oxygen, Nitrogen, Hydrogen, Phosphorus, Mercury, Zinc and Sulfur as elements and additionally classifies them as either metals or non-metals. In the early 19th century, Englishman William Prout discovered that the atomic weights seemed to be multiples of hydrogen. 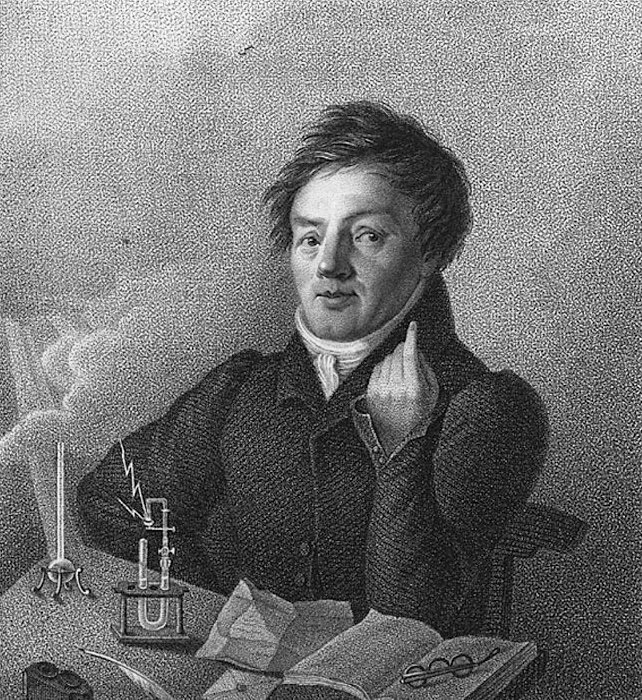 Soon after, in 1817, Johann Wolfgang Dobereiner published the Law of Triads, describing a pattern he saw in certain elements; the atomic weight (molar mass ) of the middle element in the triad was nearly the same as the average weight of the first and third. This finding helped push forward our understanding of the elements and made it easier to organize them. The first known person to create a table format of the chemical elements was Alexandre-Emile Beguyer de Chancourtois. He was a French geologist who discovered the ‘periodicity’ of the elements, referring to the trend of element properties to increase in atomic number. The diagram he created was named “vis tellurique” (after the element tellurium), and it was an important stepping stone in the development of the modern periodic table. Around the same time as Newlands, a German chemist named Julius Lothar Meyer published Die Modernen Theorian der Chemie, which contained an early version of the periodic table with 28 elements, classified for the first time into 6 families by their valence. He also published articles that classified the table of elements in horizontal form (1862, 1864) and vertical form (1870). Finally, a recognizable format took shape when a Russian chemist, Dmitri Mendeleev, attempted to classify the elements according to their chemical properties. He is credited with discovering the patterns that shape the modern Periodic Table. In 1869, he presented his chart, which he called “the Periodic System,” to the Russian Chemical Society, and it was subsequently published in an obscure Russian journal and then republished in the better-known German journal Zeitschrift für Chemie. Through Mendeleev’s pattern observation, he deduced the existence of unknown elements and created his chart with blank spaces, to be filled as elements were discovered in the future. Both Newlands and Mendeleev were also recognized for their efforts; they were both awarded the Davy Medal from the Royal Society in recognition of their contributions toward our modern understanding of the elements. In the 20th century, three more key scientists left their marks on the periodic table we know today. Frederick Soddy discovered in 1913 that, of the 50 elements that had already been discovered, many of them actually shared chemical characteristics and should therefore be considered isotopes rather than unique elements. In 1914, Henry Moseley discovered there were correlations between the atomic number of an element and its x-ray length. In doing so, he was able to re-sequence the periodic table by nuclear charge. Through this work he proved that there were gaps in the periodic table -- now occupied by elements Technetium and Promethium. Today’s periodic table layout, referred to as the common or standard form, is attributed to Horace Groves Deming. In 1923, Deming developed both a short form and a medium form of the table. Merck and Company inadvertently propelled his 18-column table into the spotlight by printing and distributing it in 1928. By the 1930s, his periodic table had been published to textbooks and encyclopedias widely used in the science community. We continue to us this layout today when new elements are discovered and added. Most recently, four synthetically-created elements were added to the chart in 2015. 2019 marks the 150th birthday of Mendeleev’s Periodic Table. There has been a long journey of discovery, and it could never have occurred without the many brilliant minds throughout history building upon each other’s knowledge and discoveries. The current table is one of the most iconic science charts in the world, used for reference by chemists from every walk of life… and it’s still evolving! What do you think the Periodic Table will look like in 50 years?